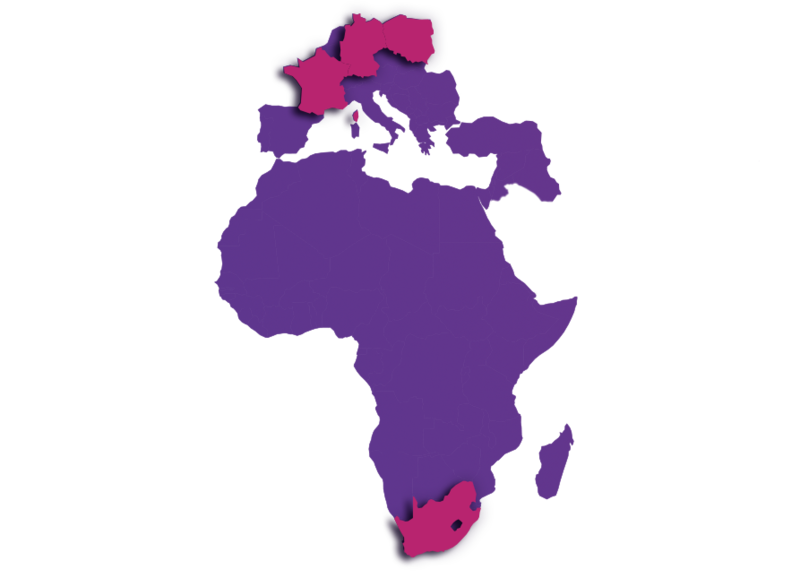 EMEA is a region with high growth potential for BBC Studios. We’re exploiting that potential by expanding the production side of our business and offering viewers even more channels and unmissable BBC content. We’ve set up BBC Studios Production Nordics in Denmark and signed an exclusive production agreement with Nordisk Film TV. We’ve also purchased a majority stake in Rapid Blue in South Africa. In Germany, we’ve invested further in Tower Productions, which has produced a number of popular titles for the local market as well as co-developing original commission One in a 1000 with German public service broadcaster ZDF. We’ve also expanded our channel offering. South Africa became the first country in the world to launch all three of BBC Studios new global brands. BBC Brit brought viewers intelligent but irreverent factual entertainment such as Top Gear. Through BBC Earth, they can enjoy the wonders of the universe shared by legends such as David Attenborough. BBC First has brought them dramas such as Wolf Hall and The Missing. Not that it’s just South Africa that has benefitted from ground-breaking programming and incredible stories that have become the hallmark of the BBC: across the region, we provide content and formats that have proved to be a big hit with local markets. BBC First is available in the Middle East via OSN, the region’s leading pay-TV platform, so viewers can watch unmissable programmes such as Luther, War and Peace, Dickensian and Doctor Who. Sales of the formats of favourite programmes have brought Great Bake Off to Israel and Turkey, and Dancing with the Stars to Slovenia and Romania. Pre-school children across many territories in EMEA are now able to enjoy the delights of CBeebies. It takes an array of talent to make all this happen. We have local sales teams to sell programmes, channels and formats; production teams who build partnerships with local companies to create new content; and teams who bring our DVDs, magazines, digital apps, innovative products and live events to local markets. Inspired to be part of our fast-growing EMEA business? From Denmark to South Africa and back to Germany, BBC Studios has been actively building its production footprint in the region with initiatives which will help us bring more world-class formats to local viewers. Did you know that we came up with a German version of Top of the Pops? Germany has long been a big market for us and in 2004 we opened an office in Cologne. Join us here and help coordinate our growing television and publishing activities in the country. We’ve brought BBC Brit, BBC Earth, BBC Lifestyle, BBC First and CBeebies to South Africa, as well as brilliant reformats such as The Great South African Bake Off. We’re also investing in local production companies. Explore the opportunities in Johannesburg. Paris has long been synonymous with fantastic productions. In 2008, we established a thriving production base in the city to work with major local networks and expand BBC Studios formats. Could your production talents fit in here? We’ve brought BBC Earth, BBC Lifestyle, BBC Brit and CBeebies to Poland. This is a priority market for us – why not join us at our modern headquarters at Plac Bankowy 1 Warsaw and help expand our business in the region?